This may be of interest to our friends in the United States and especially in the state of Illinois. Among the guest speakers will be Cecil Roberts, President of the United Mineworkers of America and Prof. Elliott Gorn, biographer of Mother Jones. Mr. Roberts will officially cut the ribbon to unveil the new marker. 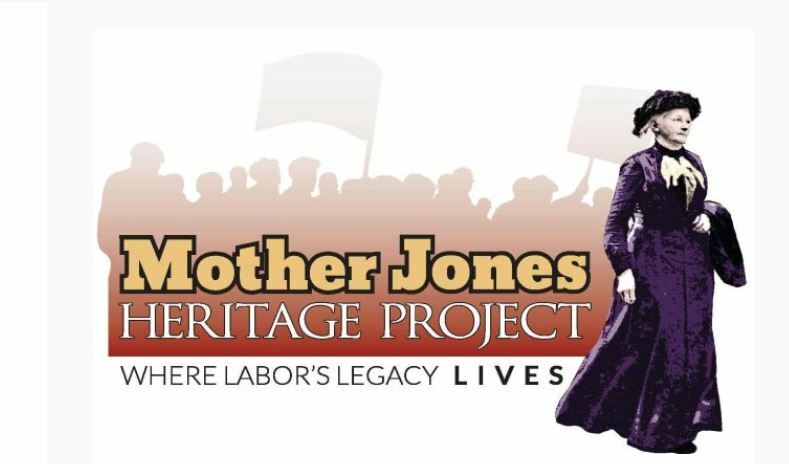 The large outdoor marker profiles Mother Jones, the Cork-born agitator for labor rights. The indoor exhibit tells the story of the 10,000 coalfield women who marched to Springfield in 1933 in the Mother Jones tradition. 2) a walking tour of Virden Illinois, where the the UMWA waged a defense of unionism in 1898. These tours will include performances, songs and mapping that will bring this story to a broad audience in the years to come. Government of Ireland, United Mine Workers of America, Mother Jones Foundation, Springfield & Central Illinois Trades & Labor Council, Southwestern Illinois Building Trades Council, Illinois Labor History Society, Illinois State Historical Society, Illinois Humanities, Northern Illinois University, Rick Hargett, Shane Austin (Ironworkers), Barbara Miller, Amy Bromsen, Bill Parker, Laurel Parker, Jeanne Graham, Terry Reed, Jim Dixon.